A free bet or bonus when you join a betting site is great but many bookies now offer an extra free bet every week! Here at BettingOffers.co we rate bookmakers on the whole package, not just the headline free bet. More and more bookies offer existing customers ongoing free bets on a weekly basis. Here we’ve got details of them all, as well as the main free bet you can claim when you join! 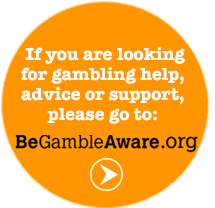 All the different bookies that offer some form of bet club have slightly different terms and conditions. The full details are available at the site when you join. Usually these are shown on the promotions page or a dedicated Bet Club area. Always check the bookie for the latest and fullest details. Unless stated all free bets are stake not returned. Qualifying period runs from 00.00 to 23.59:59 on the days quoted unless stated otherwise. Qualifying bets cannot be made using free bets or bonus funds. Main free bet on joining – Bet £10 and Get £30 in Free Bets – New William Hill online customers only. Min. unit stake of £10/€10 at odds of 1/2 or greater. Only the “win” part from EW bets will count. Free bet terms, payment method & country restrictions apply. Free bets credited as 3 x £10/€10. Free bet stakes are not returned as part of the settlement of successful free bets. All Free Bets must be wagered within 30 days. Other terms – 18+.UK+IRE only. Time limits may apply. Opt-in required. Applies to 1+ bets totalling £25+ at odds of EVS or more settled before 23:59GMT on Thurs of offer week. Get £10 free bet (£5 online, £5 shop/Connect), must stake in full at odds of 1/2 or more on sports. Free bet valid until 23:59GMT on Sunday of offer week. No Cashout bets. Restrictions and T&Cs Apply. Weekly free bet – £5 free bet EVERY DAY! With so many amazing offers for joining these top bookies, you have a great chance of making a profit. Throw in weekly free bets too, just for placing bets you might well have placed anyway, and things look even better. Which weekly free bet club you think is best depends on what types of bet you like to place. However, with in-play, accas, football, racing and sports generally all covered, there’s a free bet each week for all!